Win this app November 15th, 2015! 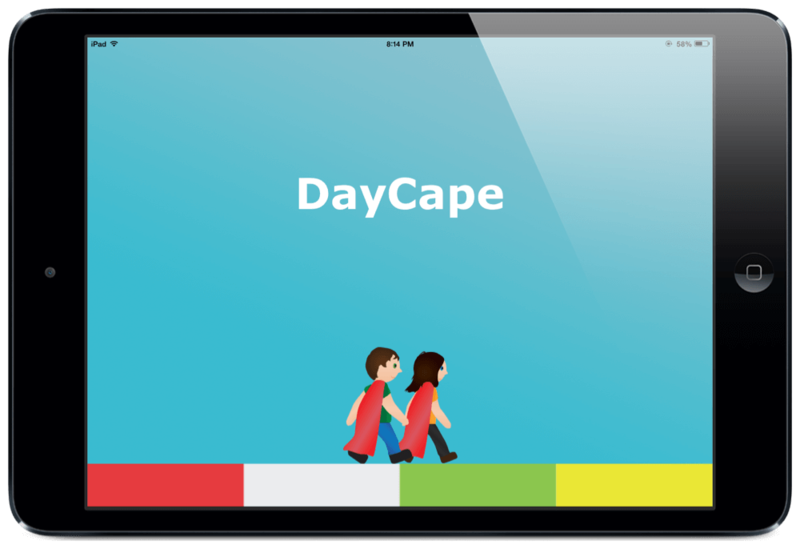 Today I am excited to be reviewing DayCape, a picture scheduling app developed for children with Autism. This is a really cool calendar system packed with great features. As an activity is added into the calendar, it will show up onto the app for the user to see. Multiple schedulers can add things into the app. It also offers notification reminders which I haven’t seen done very well until this one. As an event draws closer, it changes color and alerts the user of the activity coming up. It is very easy to navigate and the website is simple to use. Many children on the Autism spectrum do better with visual aides and so the pictures can help them process and understand the information faster. The visual schedule system reminds the user of the things they did yesterday, the thing they need to do today, and what is coming in the future. Anton Håkanson is founder of DayCape. It has received multiple awards and is available free right now. The developers have focused their efforts on facilitating change for children with special needs, especially autism. They are supported by the children right organization, Reach for Change. When creating a schedule, you will first need to create an account on the DayCape website. 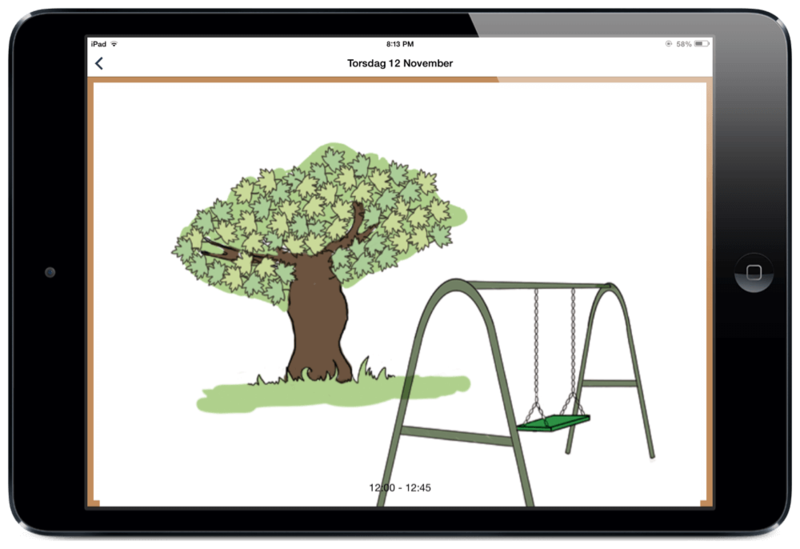 You will need to download the free app onto your iPhone or iPad. You will not be able to set up or change events on the app. Everything with scheduling and changes will be done via the website. It is easy to access and change however. A family member, friend, teacher, or care taker will add a daily schedule onto the DayCape website. This could also be the app user as well. Some users might simply need reminders, or visual support but are able to plan their own day ahead of time. After the activities have been added to the website, the user will be able to see them on the app and receive notification reminders. As an event gets close, it will change in color to give the user warning and make them aware. If something else needs to be added or changed during the day or a reminder needs to be sent, it is no problem! I was able to access the website through Safari without a glitch. The only slow process seemed to be accessing the pictures. DayCape has a large selection of pictures available to use. Everything from getting dressed, brushing teeth, driving in a car, and many more are available. You can also add your own pictures. It took a while to see all the pictures from DayCape or to download my own. I would love to see that sped up a bit. It also would be a nice perk to be able to change things from the app with another login. Another great feature in this app is the ability to customize the design and look of the app. This makes it personalized for each user.If you are scheduling for multiple users, you can set up multiple schedules for them. They will be easily accessed from one account for the scheduler. This is great for educators, families, or classrooms. A teacher could set up separate schedules for each student. I did notice that every once in a while some titles, and dates were not in English. They were still in Swedish. This app is offered in both languages but when switched over, there were a few titles that did not change. It ultimately didn’t make a different for using the app, at least not for me but it should be noted. Overall, I think this app is fantastic for picture scheduling and sending out reminders. I would recommend it for children and adults with Autism spectrum disorders. I think educators, families, and groups will also find it useful. I wish there was an app for the scheduler to set things up on but accessing the website is not difficult. I love that you can add your own images or use the ones available in the DayCape library. The simple and easy design makes this entire system even better. I also appreciate the value of this app. It is currently free and available in the app store. To learn more check out the DayCape website, a company that wants to help children become their own super heroes. This company helps children and adults get excited about the days ahead. They are passionate about change and making a difference in the special needs community. 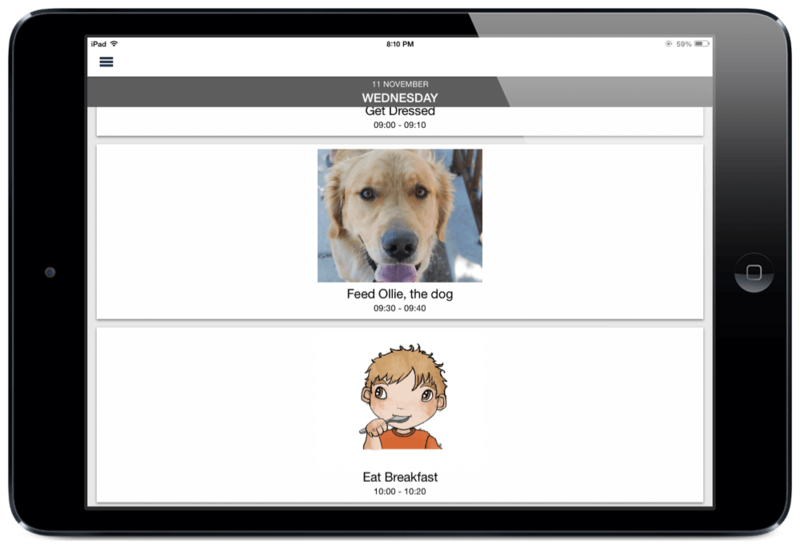 DayCape is a picture scheduling app full of great features, and easy to use technology. This was created for children with Autism.